Tsubasa Reservoir Chronicle: Happy Birthday present for chrisp!!! Minitokyo »	Tsubasa Reservoir Chronicle Indy Art » Tsubasa Reservoir Chronicle: Happy Birthday present for chrisp!!! It's been a long time since I put something at minitokyo! So here is a new wrok from me! Hi dicke ! Hoffe es gefaellt dir, da ich es schnell am 22.4.gemacht habe und mir nix langes ausuchen kann. 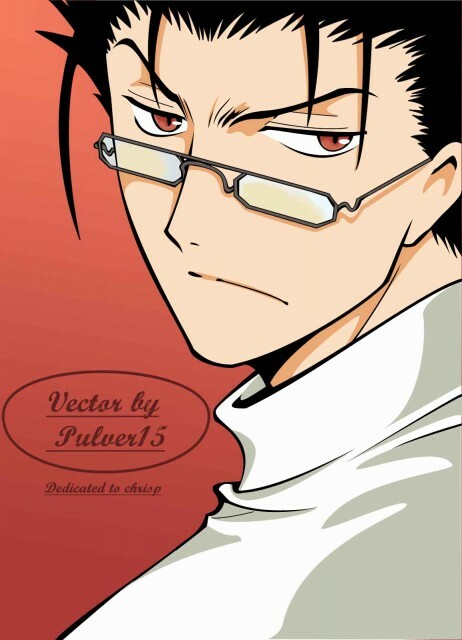 Auch wenn es nichts besonderes is, hoffe ich es geht, da es ja noch kurogane is. but pulver!you are really lazy aren't you? but thank you!i am so glad you did this for me! OO IS VERY WONDERFUL KURORIN LOOKS SO VERY HANDSOME! A IS PRECIOUS! IS THAN KAWAI! THNAK YOU IS BEATIFUL YOUR VETOR! This guys expression never changes but it's cool and you have vectored him really well.